We bring you mission report from December 2014 and January 2015. We appreciate each of you with great gratitude for all your prayer and contribution. There has been wonderful development in various sectors our services to God and to God's people. Life of people has been blessed and change and thank you for making it possible to experience a life Jesus always wanted. 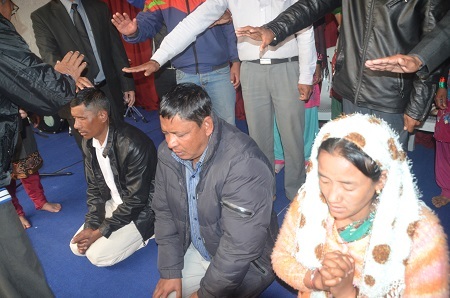 In this picture new Pastor are being ordain with prayer from other Pastors for the ministry of shepherding.